Why on the earth should anyone care about professional baseball? Good question, and one that can be applied to almost any major college or pro sports event. In my more rational moments, I know I shouldn’t give my heart to such things–grown men in far-away cities playing a kids’ game for which they get paid millions. What happens there has no impact on my life, and very little impact on the world as a whole. There’s no reason to put any kind of effort or emotion into it. 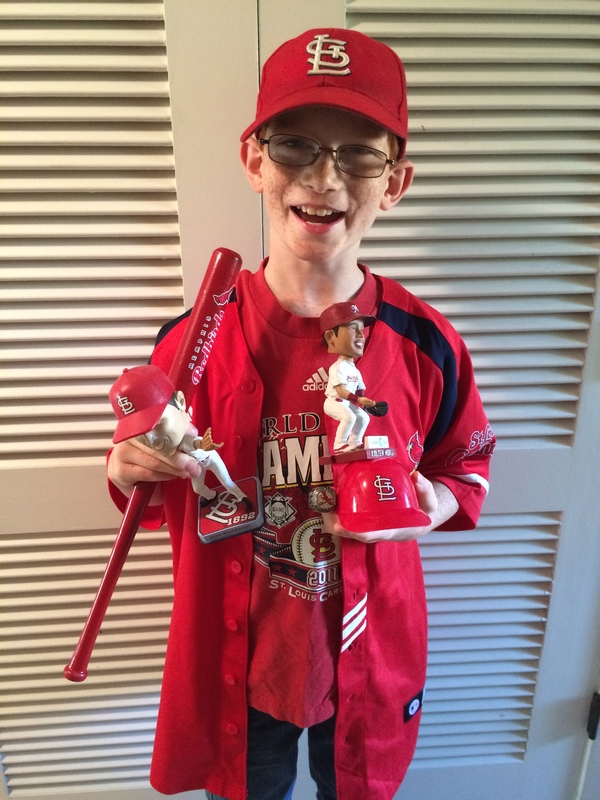 I’m not the only irrational Cardinal fan in my house. I sent this guy to bed last night in the top of the 9th. Sorry Z! That was a Dad fail. Except that I do. So do people all over the world, whether it’s the NFL, soccer, cricket, or hockey. Every culture plays competitive games, and every nation that I know of has some sort of pro or semi-pro sports leagues. So when I’m in front of the TV, screaming at the strike zone and praying Yadier Molina’s injured oblique, I know I’m not alone. That fact makes me both feel better about myself and despair for the human condition. On the judgmental side, I wonder what would happen if I put the time and energy I throw into baseball into other, more important areas of life. If outcome is directly linked to effort, I should have been able to bring world peace and cure cancer, given the personal attention I’ve sunk into the St. Louis Cardinals. I wonder a lot at the role probability and chance play in our lives, and what that means for the way we live. It’s a disquieting thought on one level. But it’s also a reminder to be gracious, whether we win or lose. The outcome often could have been quite different with just one or two variables reversed. No one–whether professional sports team or unknown writer–can completely control results. But we can follow good processes, shake off the losses, celebrate the victories, and be kind. Baseball is a mirror the reflects these principles for me. That’s why my heart stays in it. And I hope that, more often than not, I can remember the lessons I’ve learned from it. * “Right” and “wrong” place are, of course, dependent on perspective. I suspect a Giants fan would have those adjectives reversed. As a Cardinal fan, however, I think I got them correct. Time and chance happen to all. 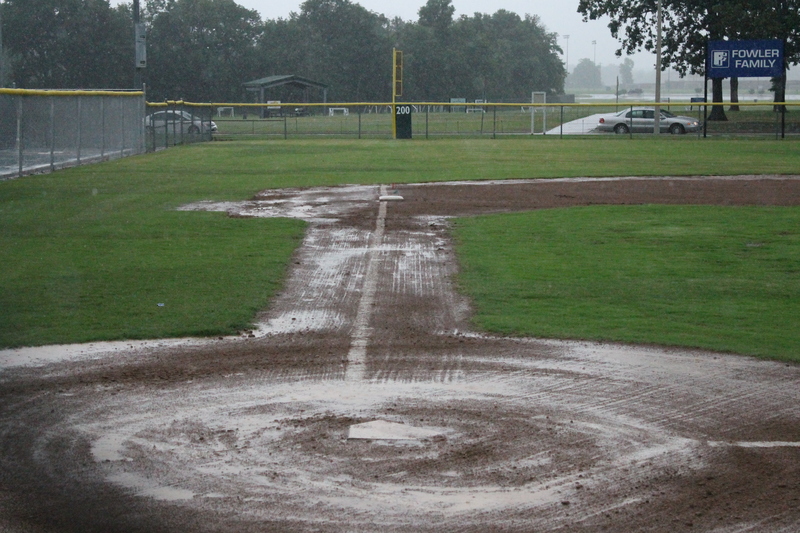 So do rainouts.